WELCOME TO THE ISLAMICJERUSALEM eLibrary. 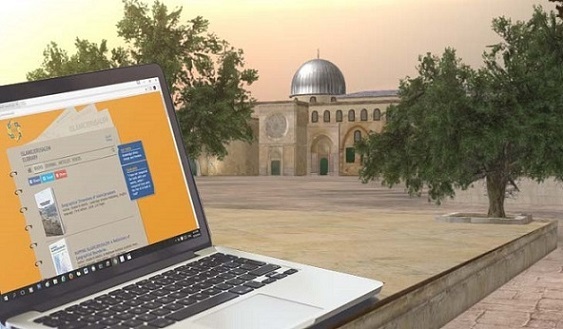 Your online portal for articles and books on Islamicjerusalem. Islamicjerusalem eLibrary is the perfect resource for delivering full-text books and journals on Islamicjerusalem Studies. Our easy to use interface makes research easy and fun. Researchers will find all they need from tens of journal articles and books. The eLibrary has developed out of the printed publications on Islamicjerusalem Studies in the last two decades which aimed to fill the gap in scholarship in this subject area. It has been especially designed to keep researchers and students at the forefront of learning and bring articles, monographs and books on Islamicjerusalem to them. Our titles are written by experts on the field and new editions are continually added to ensure that the eLibrary is always up to date. Books: The eLibrary allows full access to books on the field written by specialist on Islamicjerusalem Studies. Journal: The Journal of Islamicjerusalem Studies is the first and the only refereed scholarly journal that is dedicated to the academic study of Islamicjerusalem. Through visiting our eLibrary you will have full access to the journal’s articles since its inception in 1997. Articles: the eLibrary allows access to articles on the field of Islamicjerusalem Studies published in various journals and periodicals. Videos: the eLibrary also allows access to relevant video of conferences and other events on our YouTube channel. The eLibrary is a non-profit Internet Archive of materials on Islamicjerusalem Studies and provides instant access to books and articles written in the field on a 24/7 basis. "I have not conquered the lands with your swords, rather I conquered them with the Pen of al-Qadi al-Fadil"